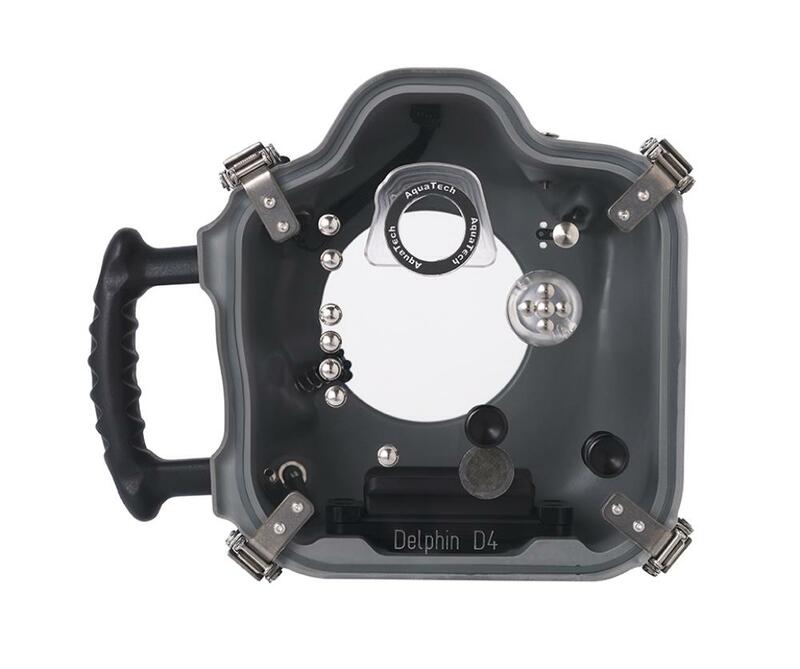 The AquaTech Delphin Nikon D4 / D4s Underwater Sport Housing allows you to shoot with a Nikon D4 or D4s camera body (not included) up to 33' underwater (recommended for use at depths of 16.4' or less when submerged for more than 5 minutes) when paired with a lens and underwater lens port housing (not included). This body housing is built with a Polyurethane construction and the controls are tactile and made of stainless steel, aluminum, and high-strength plastics. All of the aluminum parts have been anodized for maximum protection and there are 2 standard tripod mounting points and Quick Release clips with a safety latch. 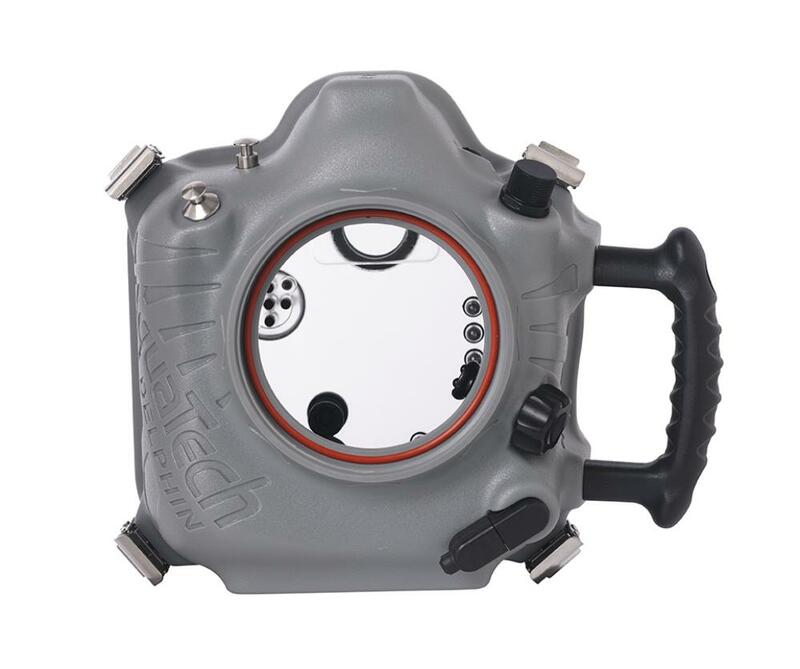 The interchangeable port system on this body housing is compatible with a variety of lenses. Please see this official AquaTech Housing and Lens Port Compatibility Chart to find out which lens ports are compatible with which lenses. • Compatible with the Nikon D4 or D4s camera body (not included).